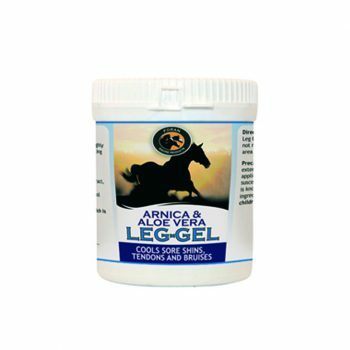 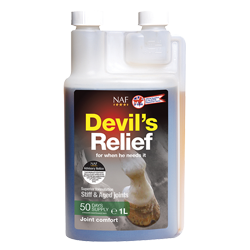 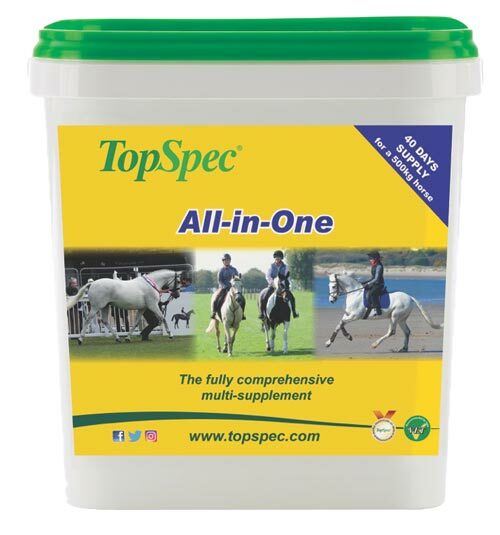 All-in-One multi-supplement has been designed to supplement the rations of all horses and ponies simply by adjusting the rate at which it is fed and the products it is fed with. 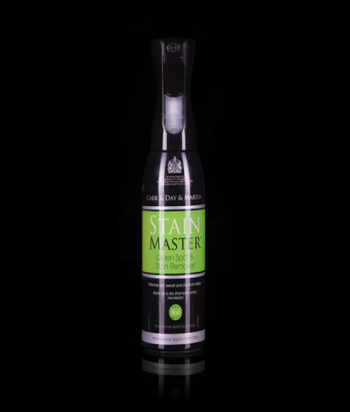 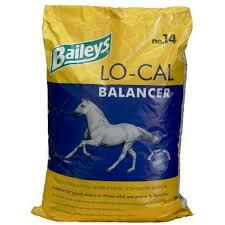 Because it contains insignificant calories it is one of the products that we would recommend for good-doers. 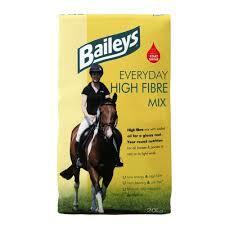 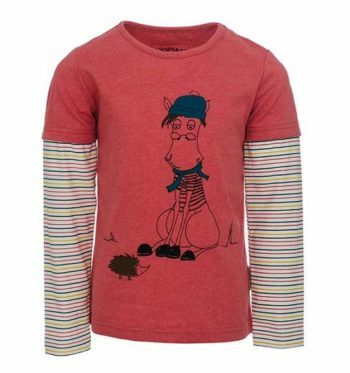 As it is a powder it must be mixed with at least a double handful of appropriate chaff. 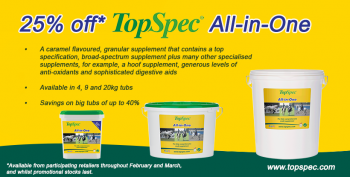 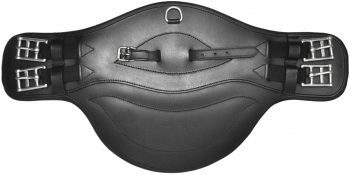 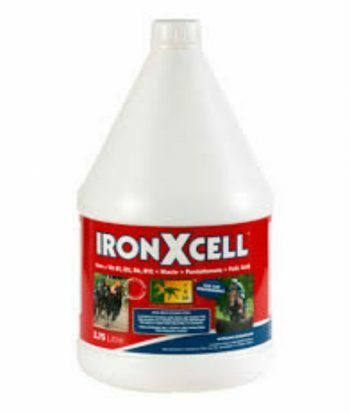 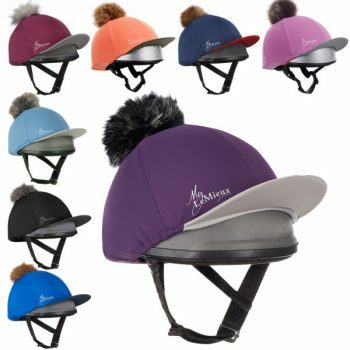 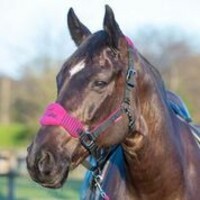 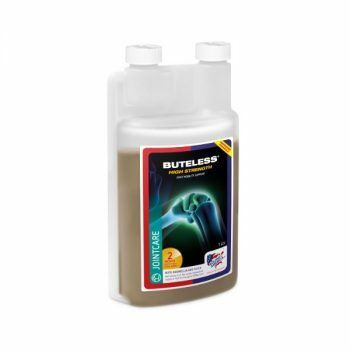 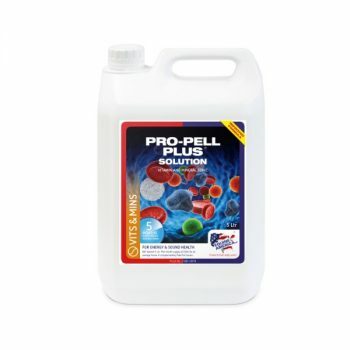 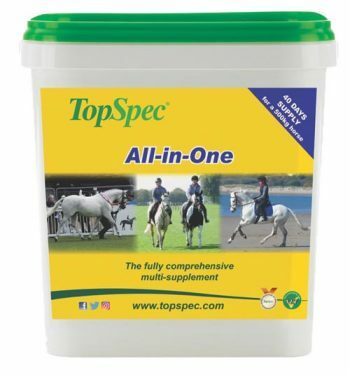 When TopSpec All-in-One is fed there is therefore often no need to add any further supplements, other than salt and/or electrolytes for sweating horses. 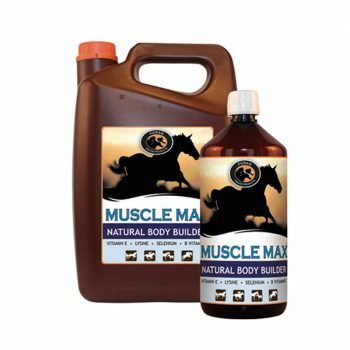 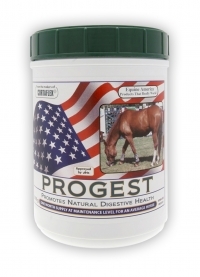 The addition of a broad-spectrum supplement, vitamin E and selenium anti-oxidants, blood tonics, yeast supplements, a hoof supplement, a bone supplement, a metabolic supplement and immune support is an unnecassary expense and in most cases is ineffective and potentially harmful. Available in 4kg, 9kg and 20kg containers.